Visitors enjoy artworks displayed at the Selematan Masa Depan (A Celebration of the Future) exhibition. Presenting works by some of the finest emerging Indonesian contemporary artists over a month, Selematan Masa Depan (A Celebration of the Future) closed on Jan. 15 at the AB•BC Building, Bali Collection Nusa Dua, Bali. Curators Rifky Effendy and Ignatia Nilu selected 47 artists from Bandung (10 artists), Yogyakarta ( 17 ) and Bali ( 20 ); who contributed a diverse array of 74 works in 2- and 3-dimensional forms – sketches, paintings, prints, sculptures, installations, video art and new media art. In the follow up to the Art • Bali ‘Beyond the Myths’, the exhibition highlighted some of the talents who are pushing the boundaries of Indonesian contemporary art. While exhibitions that display contemporary artistic talent from Bali side-by-side with counterparts from across Indonesia may be seen in Java, in Bali these occasions are infrequent. 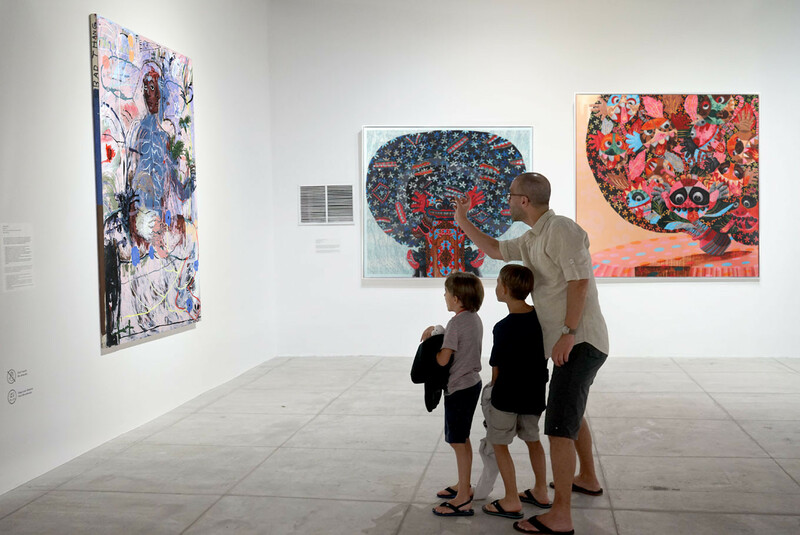 Importantly, this allows opportunities for young local artists, students and creatives, who have internet connectivity and can access the "greater art world", yet may not have the chances to travel outside of Bali, to personally witness the developments and future direction of the national scene. Opened by Bali’s new Governor Wayan Koster on Dec. 15 last year, Selematan Masa Depan is the second of a series of regular events at the AB•BC Building, which will help to define the location as one of the island’s foremost contemporary art venues, while becoming a new art and creative destination within the Indonesia Tourism Development Corporation (ITDC) Nusa Dua tourism precinct. ITDC Nusa Dua is a designated location with tourism facilities and many of the island’s largest five-star resorts. 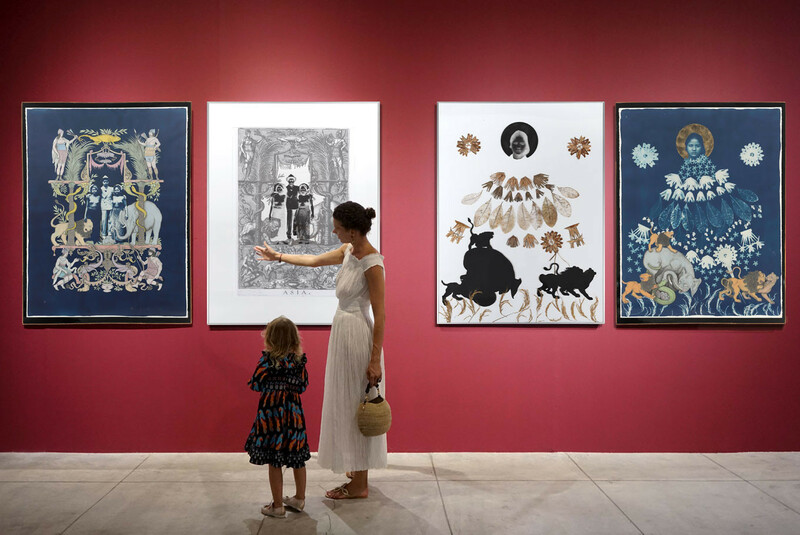 In Balinese Baroque (Discovery Toward Invention) 2018 and Time After Time (Discovery Toward Invention) 2018 by Budi Agung Kuswara, the artist experiments with the cyanotype technique, a photographic printing process that produces a cyan-blue print onto the paper with sunlight, along with archive photos and cultural items to produce aesthetically unique and beautiful images. “His works are highlighted by innovative visual framing, kind of pop art, yet visually refreshing and intellectually articulated around the memory theme,” said Couteau. Budi represents the vanguard of emerging contemporary artists in Bali today. 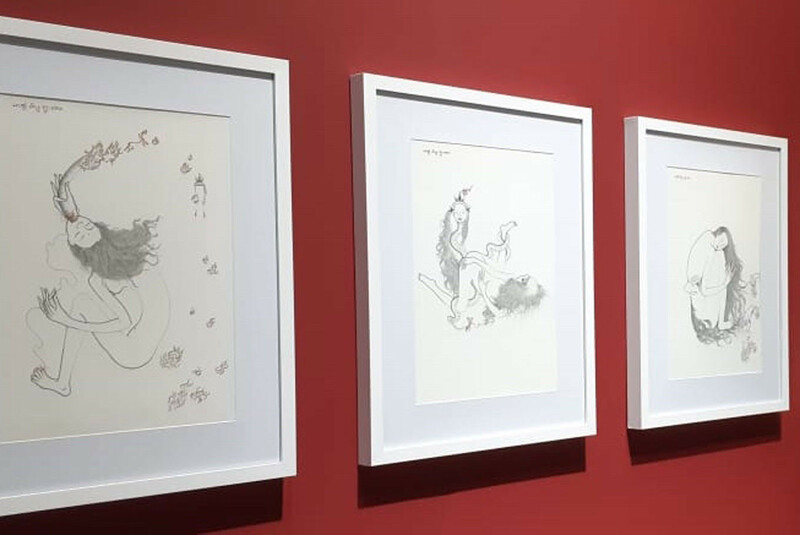 Satya Cipta, who has recently captured the attention of the Balinese art world with her premiere solo exhibition A Budding Talent at Ubud’s Puri Lukisan Museum in late 2018, presents four beautifully balanced Chinese ink sketches on paper. 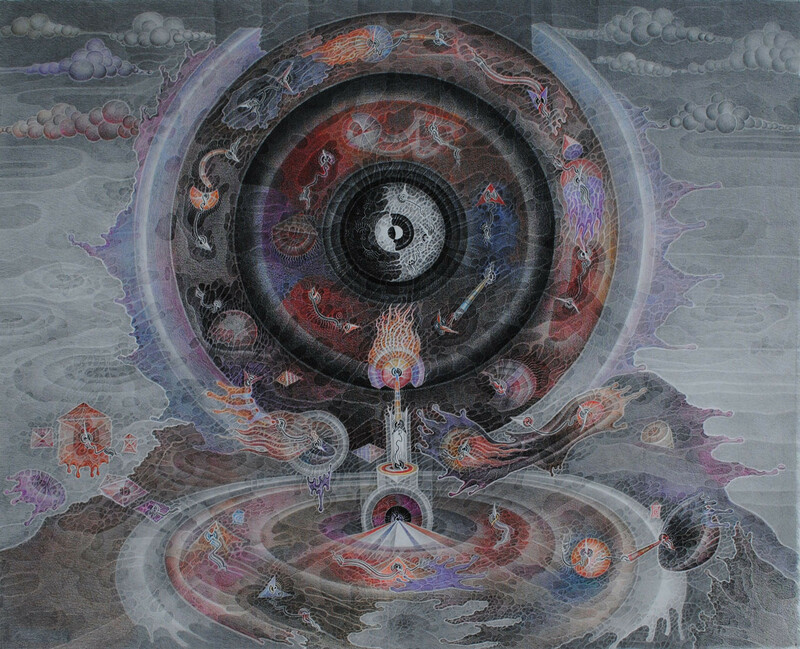 Drawing is the basic fundamental of Balinese traditional art, and her combination of drawing techniques with modern gender political themes are an exciting, recent development on the Bali art scene. “Satya's wild exploration of a woman's demand for control over her own body is formulated in a revamped, imaginative post-traditional line style similar to Gusti Lempad,” said Couteau. Metamorphosis (The Flowers of Carnage) 2018, by Citra Sasmita, in her characteristic style of minimal iconography, also ‘speaks’ of gender politics, while communicating through an array of symbols. “Citra’s painting is a highlight because she explores and denounces macho vocabulary, and for her feminist statement,” Couteau said. 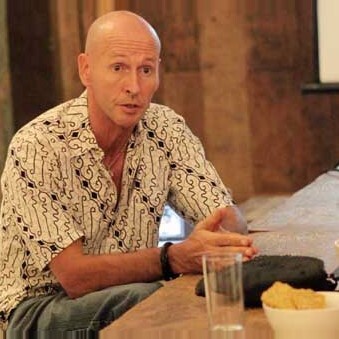 “Selamatan Masa Depan enjoyed increased attendance than the Art • Bali 2018 event because of the tourist high season, and more international and domestic visitors and locals visiting the venue,” said Army Firmansyah, one of the board members of Art • Bali and the AB•BC Building, part of the Heri Pemad Art Management Bali Team.